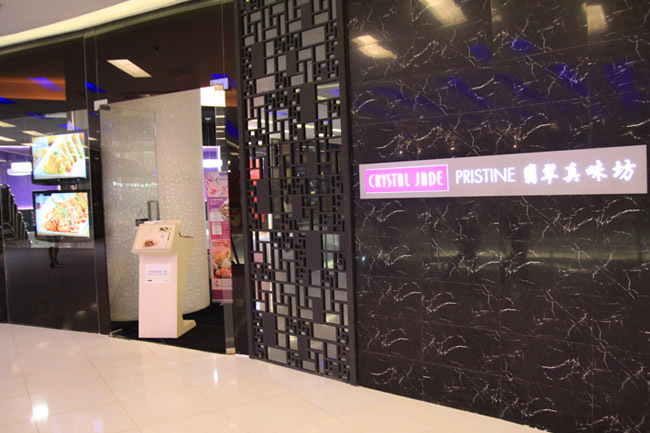 Crystal Jade Pristine – New Brand Offers Nourishing, Organic Treats. Will It Work? Crystal Jade Pristine at Level 3 Scotts Square is a new outlet with a different branding, serving more exquisite yet simple dishes. Two words to describe its cuisine – nourishing and organic. When friends wanted a recommendation for Crystal Jade, I would sometimes direct them to Scotts Square because it is less crowded (compared to Takashimya Orchard) and easier to get a seat. 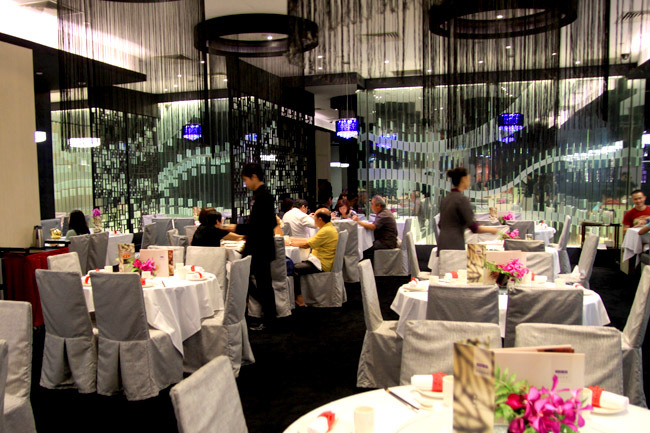 The environment is more conducive for chatting-up rather than the other nosier Chinese restaurants. Alas Scotts Square is so niche and upmarket that only tai-tais would go there to shop regularly – most of its shops are empty. Crystal Jade’s last concept on home-styled dishes didn’t work here. 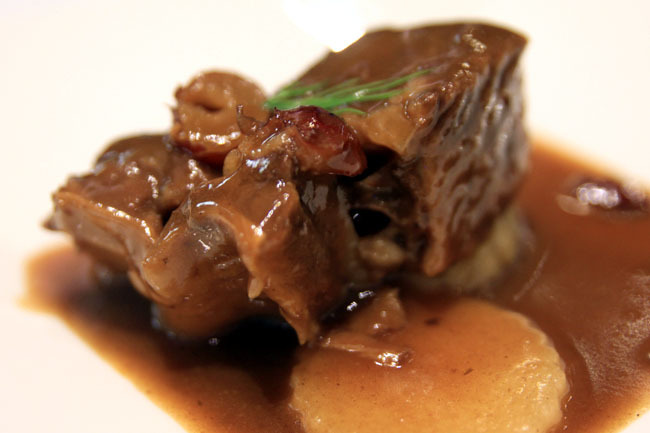 Most food tastings would be quick to offer the signature of signatures – premium, expensive-looking dishes (like the wagyus, seafoods and truffles) all set to ‘wow’. Crystal Jade Pristine’s tasting menu interestingly included several ‘simple’ food, like Baby Chinese Spinach ($16) and Braised Minced Pork with Hong Kong Kai Lan ($22.00). 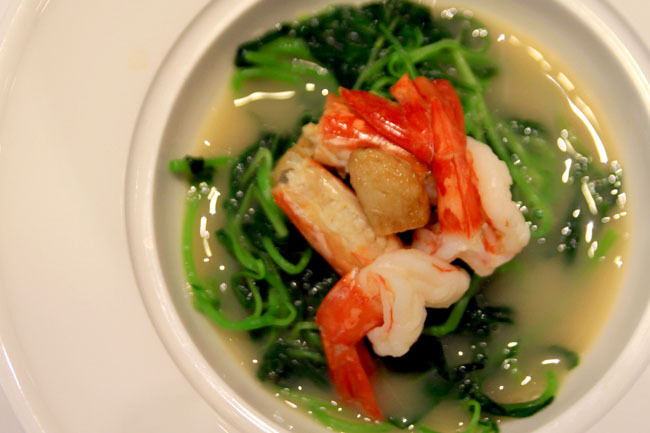 Its Spinach dish while looking unassuming and ordinary, is topped with poached prawn and cooked in a delicious sweet and flavourful prawn broth. I commented that I wouldn’t have ordered it at all if I just flipped the menu – I mean, it’s just spinach, but surprisingly turned out to be my favourite food of the day for its superior soup base. This kind of reminds me of how my grandma would have cooked it. There are two interesting sections in Crystal Jade Pristine’s menu – an organic selection and ladies’ specialty (told you about the tai-tai thing). Another humble-looking dish from the ‘ladies’ menu’ is the Steamed Chicken Beancurd with Ginseng & Cordycep Mushroom ($18.00). Beancurd for $18.00? 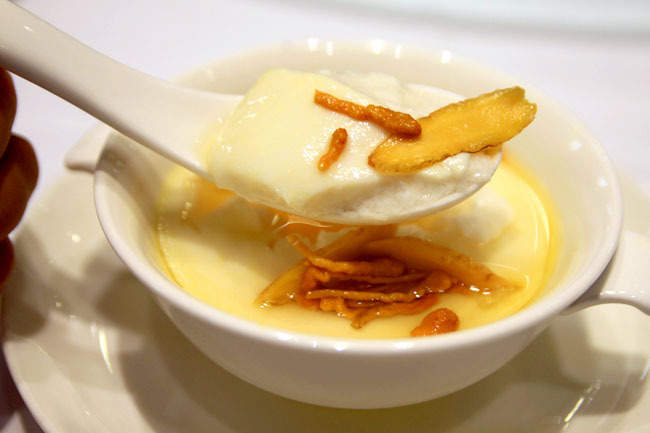 Before you dismiss this as another tofu dish, the beancurd is made from a silky paste of malaysian kampung chicken meat steamed with various herbs like American ginseng and double-boiled broth. Amazing effort for a seemingly down-to-earth bowl. 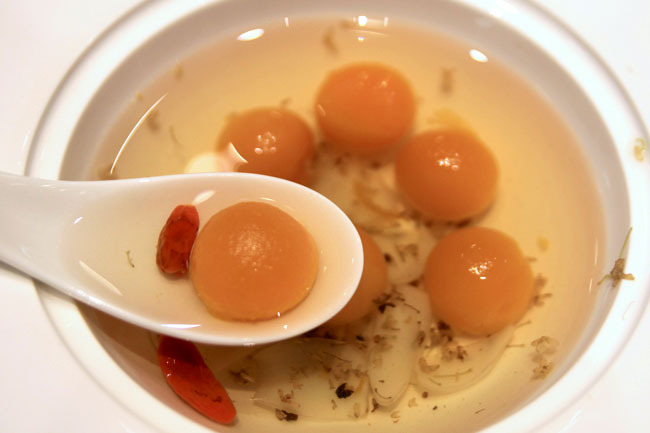 Taste wise, it feels like a very ‘bu’(beneficial for health) bowl of smooth chicken beancurd! 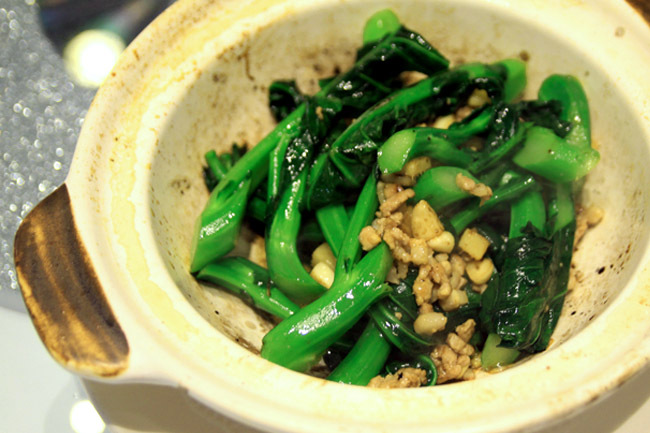 Crystal Jade Pristine offers a nutritious and healthier option to the usually heavy-handed Chinese food. On the flip side, the price-tag is slightly towards the steep side. Let’s see, $22 for kai-lan? How many would be willing to pay more for quality ingredients, and nourishing and organic Chinese food? It’s a risky venture.